You probably think I will buy any book with a picture of Paris on the cover. No, really. I won’t. I’m not that easy. But when your cover is this pretty, the font this inviting, and you have blurbs on the back from the likes of Lily King, Richard Russo, Ayelet Waldman, Margot Livesy, Maryann O’Hare and Sarah Blake, you’ve got me. Paris Was The Place by Susan Conley is the story of a young woman’s experience while working at an immigration detention center for girls in Paris. You could say it’s Little Bee in Paris, but that would be missing half of the book’s appeal. In some ways, Willow (“Willie”) Pears is a refugee too. Broken and lost after her mother’s recent death, Willie leaves California and comes to Paris in search of connections. Willie is estranged from her father, but wants to be closer to her brother Luke who lives in Paris with his boyfriend. Willie is a poetry professor at the Academy of France, and begins volunteering at an immigration center for girls. As Willie draws out the refugees’ heartbreaking stories, which they need to prepare for their asylum hearings, she becomes deeply involved in their desperate hope for a better life in France. In the meantime, Willie makes her own “French Connection” with an immigration lawyer who works at the center. The sequencing of the neighborhoods here baffles me – arranged like the curvature of some terrestrial snail. I’m in the tenth arrondissement, anchored by two of Paris’s great train stations, where the alleyways weave into mapless places. I’m not embarrassed to carry my Michelin. With her Michelin in hand, Willie maps her way through Paris, narrating her trips and transfers on the Métro, guiding us through each arrondissement. From her brother’s nice apartment on Victor Hugo in the 16th, her own apartment on Rue de la Clef in the Latin Quarter, the detention center on Rue de Metz in the 10th, and the Academy of France in the 6th, Willie stakes her claim on her new city. Just for fun, I plotted out Willie’s Paris on this Google Map. Now you can walk in the footsteps of the characters of Paris Was the Place too. Willie’s Michelin guide helps her unlock the baffling secrets of Paris. And isn’t that exactly the way it is when you’re a tourist or an expat in France? 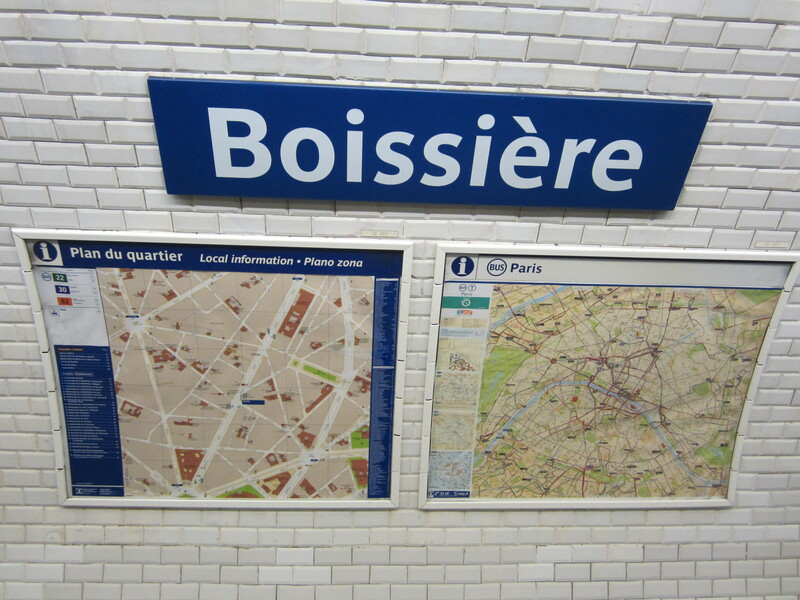 You might not understand half of what is said around you every day, but at least you can read your Métro map. Like color-coded bread crumbs that will always lead you home. But there’s rarely a direct route. You need to study the map and plot your connections. What’s the best way to get from the 16th to the 10th? Can I get there without having to crowd in with all the tourists on Line 1? Can I do it with only one transfer? 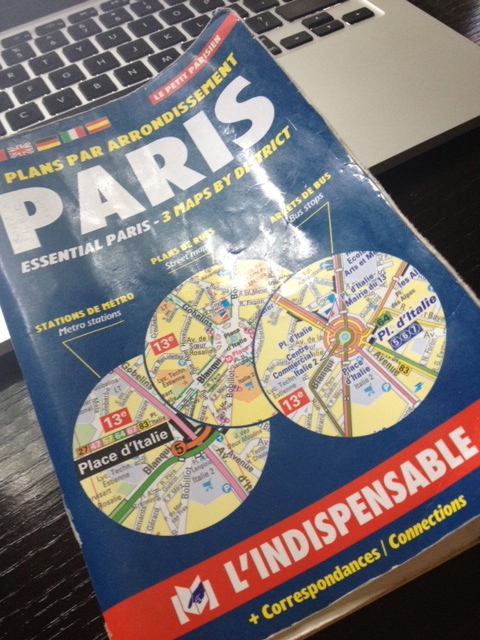 I used to start every day with my home-brewed espresso, plotting out my day on my own dog-eared Paris L’Indispensable. And then, one day, just like Willie, you’ve mastered the Métro and you’ve developed an instinct for the spiraling arrondissements. You learned to cope with a life that isn’t always linear. You’ve made your connection and you feel like you belong. Paris is your place. What makes Paris Was The Place so wonderful is the way Willie’s search for geographical connections runs parallel with her efforts to navigate through her personal connections: with her brother, her French lover, the girls at the detention center, her complicated family history, her widowed father. Some connections are made, while others are tragically lost. The fact that Willie’s estranged father is a mapmaker adds even more depth and grace to her story. Because belonging isn’t always just a matter of maps and Métros. It’s about making connections in the baffling, mapless places of the human heart. My dog-eared L’Indispensable Paris Arrondissement Map. My own personal Rosetta Stone. My home stop on Line 6 in the 16th, which Willie calls “the grown-up part of Paris” with “older women in pencil skirts walking their miniature poodles.” Ouch. That hurts. I swear I don’t own a pencil skirt or a miniature poodle. Willie, a fellow word nerd, would have loved this Métro stop too. 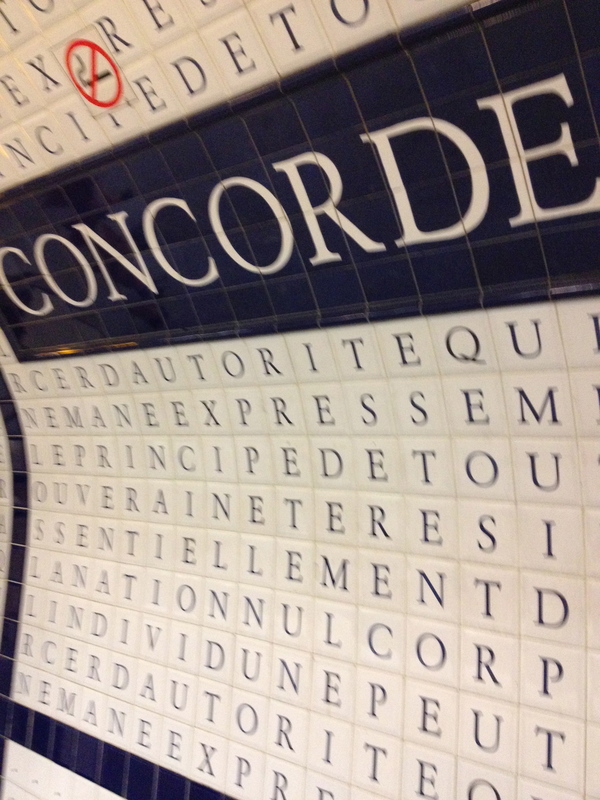 The words from the Declaration of the Rights of Man form a word search at this Concorde Métro stop. 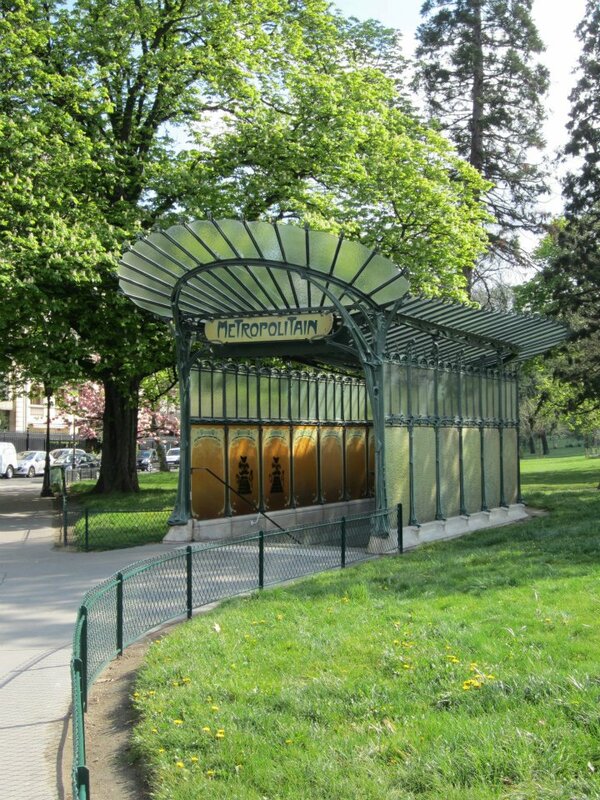 I love this Art Nouveau Métro stop at Réaumur Sébastopol on Line 4. Only one more stop until Willie’s stop for the Rue de Metz detention center. One of my favorite Métro stops. 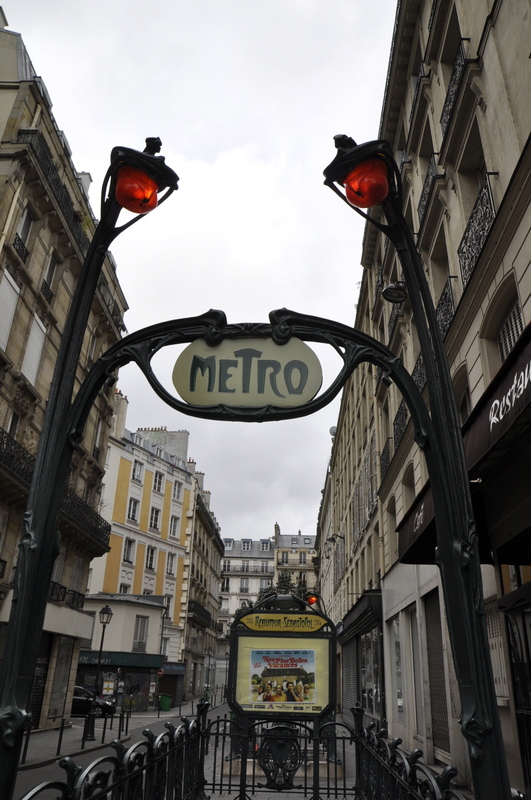 The Port Dauphine Métro stop on Line 2, just one stop past Luke’s apartment on Victor Hugo. 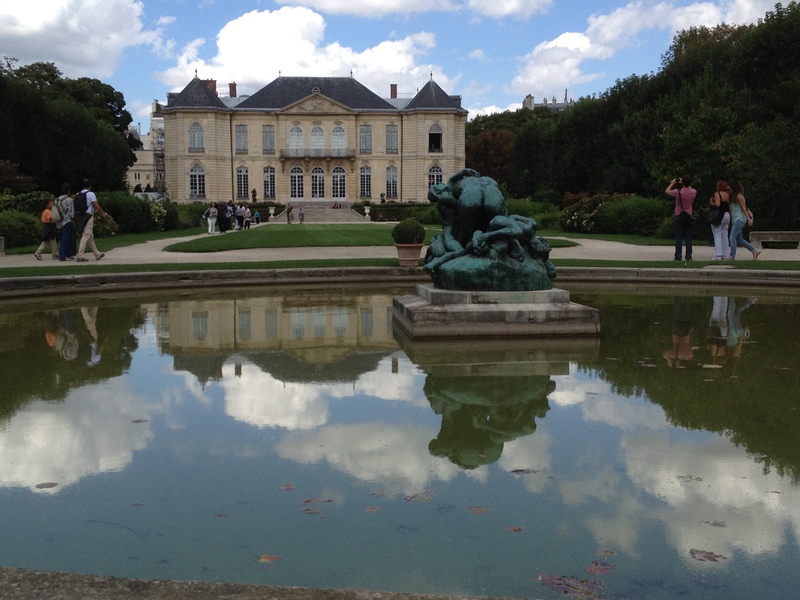 Just a short walk from the lovely Bois de Boulogne. 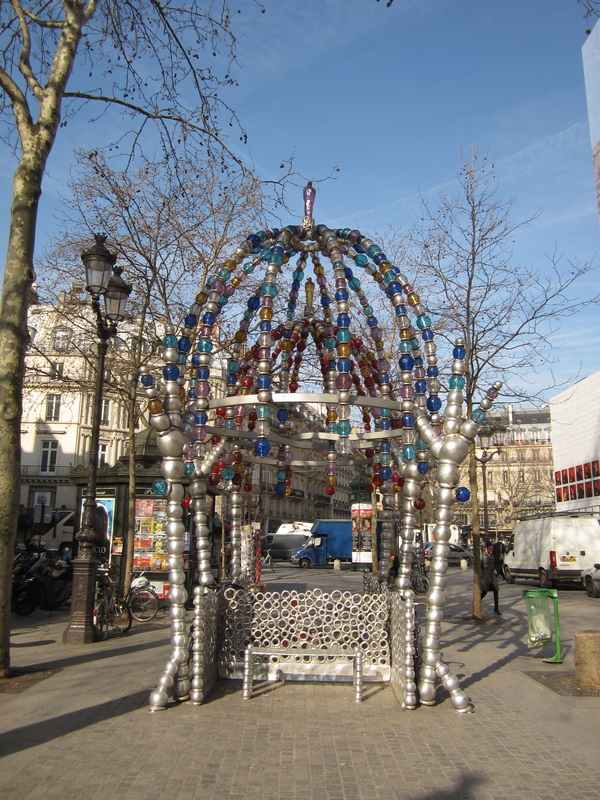 Who doesn’t love the whimsical glass beads in the design of the Palais-Royal-Musée de Louvre Métro stop at Place Colette? My craziest Francophile moment came when I found myself making these gigantic maps of the Paris neighborhoods covered in my novel. I used indelible markers on poster board in my little rabbit warren of an office on the third floor of our old house, and I tried to recreate the streets that Willie and Macon walked on in Paris. These hand-scrawled maps were my blue print of the city. They’re almost illegible but they gave me access to the parts of the city I really had to make sure the novel rendered fully. I needed to make the maps to feel like I was there in Paris. Then I knew that the reader would (hopefully!) feel like they were there too. Yes, Susan, when I read your book I felt like I was in Paris too. Thanks for that, because now I miss it just a little less. Paris Was The Place by Susan Conley: Highly recommended. 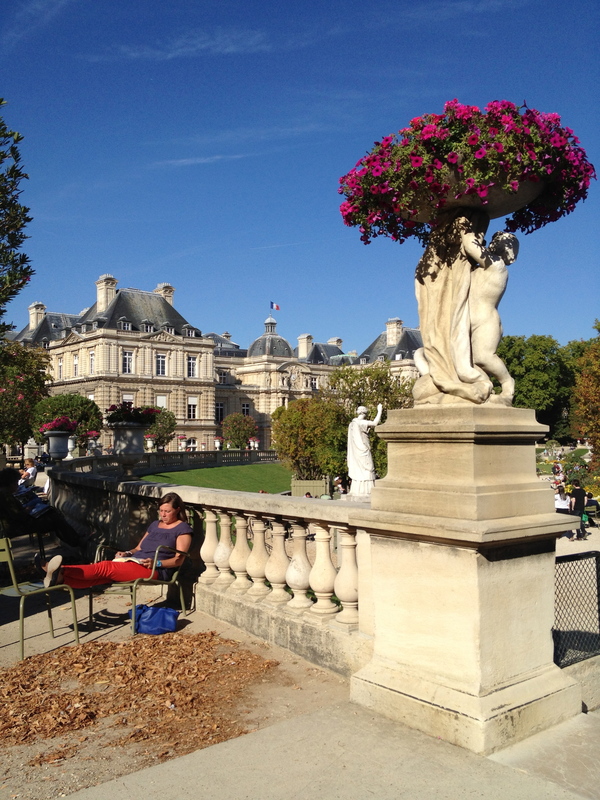 This entry was posted in Book Review, Literary Site, Paris Books and tagged Paris books, Paris fiction, Paris Literary Tours, Paris Métro Stops, Paris Was the Place, Susan Conley by americangirlsartclubinparis. Bookmark the permalink. I’m getting this one! Thanks for the review.